Brasilia, Sep 14 (IANS) On reviewing available research on cancer prevention and the benefits of orange, scientists say orange could prove to be crucial in the prevention of cancer. In a forthcoming review article from Nutrition and Cancer: An International Journal, a publication of Routledge, researchers reviewed available evidence that links orange juice with cancer chemoprevention, reports Science Daily. The review article, ‘Orange Juice and Cancer Chemoprevention’ discusses the putative mechanisms involved in the process and the available data in terms of evidence-based medicine. 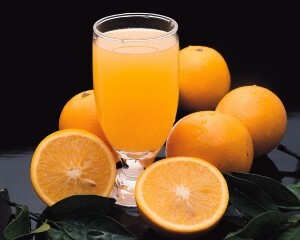 Despite its potential toxicity (if taken in excess), orange juice has many potential positive effects when it comes to cancer, particularly because it is high in anti-oxidants. Evidence from previous studies has indicated that orange juice can reduce the risk of leukemia in children, as well as aid in chemoprevention against mammary, hepatic, and colon cancers. “Orange juice could contribute to chemoprevention at every stage of cancer initiation and progression”,the researchers explained.